Novi_Sad�s work came to our attention via our good friend Susanna Bolle( Non-Event and Rare Frequency) in Boston. A superbly keen ear, Bolle felt that his work and our label should connect. Though Nov-Sad�s has only a few years of practice behind him, the quality and maturity of all of his efforts is striking. The proposed Jailbirds material for Sedimental was totally complete and not only of the highest quality but also of a truly unique vision. What is significant in his work is the multiplicity of its action on the listener. It is a density of sound, acting in three-dimensions, not as auditorysound effect but as music with depth both physically and in functionality. Its intensity and purposefulness based in specific conceptual foundations and enhanced by a mastery (and transcendence) of technical means collapses amplified environmental recordings, drone manipulations, structured ambient soundscape, microtones and overtones into unified whole. Sedimental is truly excited to be an early anchor of this young composer and sound artist�s serious oeuvre. 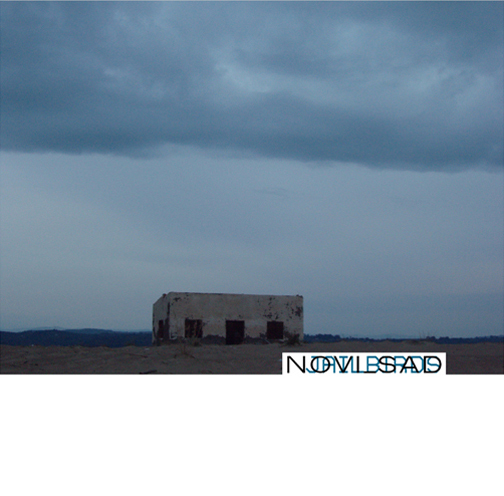 NoviSad (Thanasis Kaproulias, b. 1980) is a graduate student from the Economic University of Piraues. He lives and works in Athens, Greece where he began generating sounds in 2005. His debut album Misguided heart pulses, a hammer, she and the clock received worldwide critical acclaim. Recently, Novisad did a recording session at the prestigious VPRO studios in Amsterdam, for the Dutch National Radio which will be released by Staalplaat [NL] in the Mort Aux Vaches series. His latest piece Dramazon is available on TouchRadio from the publishing house Touch [U.K]. He is currently working on a project based on various methods of audio analysis called Sirens in which he explores the aesthetics of information on sound by using quantitative data from major stock market crashes in history.